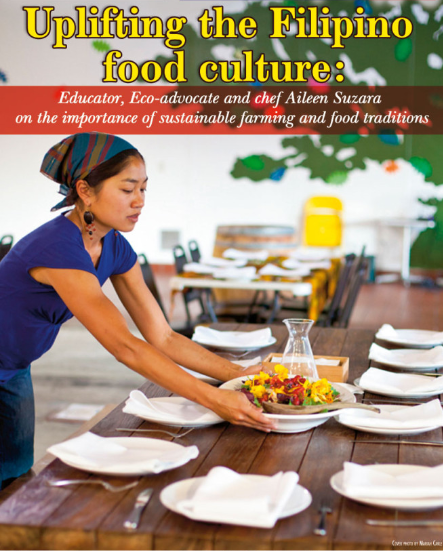 MPH Nutrition student, Aileen Suzara is featured in Asian Journal this month for her work connecting food and culture to better health. Aileen’s interest in farming started when she was a young girl-growing up in Hawaii, she witnessed how food, health and culture were connected. She became inspired by efforts to revitalize native foods, not only to curb the epidemic of chronic diseases, but to strengthen their culture and heal the environment. As she grew older, she began to explore how that kind of healing could look like for the Filipino-American community. To read more about healing through food, and the Filipino food culture, check out the full article below! By phnblog in Uncategorized on February 20, 2015 .